WASHINGTON, D.C. (Dec. 11, 2017) -- The National Association of Black Journalists (NABJ) mourns the loss of Simeon Booker, a pioneering journalist, author and chronicler of the Civil Rights Movement. "Simeon Booker's remarkable career, spanning more than six decades, reminds us how important chronicling the truth and speaking truth to power via the written word is," said NABJ President Sarah Glover. "Booker's reports during the Civil Rights Movement shed light on the country's ills, bringing much-needed perspective; and he did so all while risking his own life to tell the story. Simeon Booker is a role model for black journalists and his life's work is an example of media excellence that all journalists should strive for." "God knows, I tried to succeed at the Post. I struggled so hard that friends thought I was dying, I looked so fatigued. After a year and a half, I had to give up. Trying to cover news in a city where even animal cemeteries were segregated overwhelmed me," Booker said of his time at the Post. 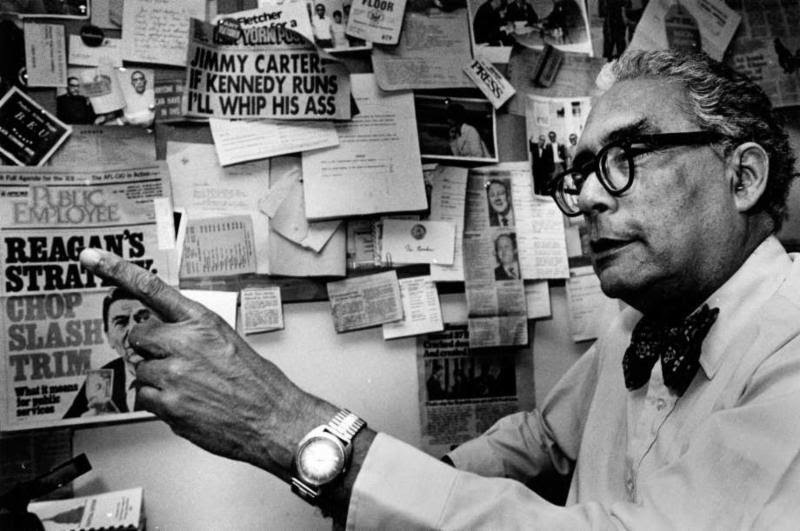 "Mr. Booker knew the facts, he knew his audience, and he would not be stopped," said Monroe. "He was a kind soul who will be missed by all of us." Booker began his journalism career in the 1940s working for Black Press publications in Cleveland and Baltimore. As racial tensions rose throughout the nation during the 1950s and '60s, he told riveting stories, about the struggle between Civil Rights activists and segregationists. Booker, the only journalist to make the trip with the first Freedom Riders as they protested transportation segregation laws in 1961, also covered Dr. Martin Luther King Jr. at the March on Washington in 1963, and marched alongside protesters at the 1965 Selma March. Booker brought the front lines of the Civil Rights movement to the millions of Jet and Ebony readers across the nation. After 65 years of chronicling the broad spectrum of the black experience, Bookerretired in 2007. In 2013, Booker completed his memoir, Shocking the Conscience: A Reporter's Account of the Civil Rights Movement. His work allowed many black people to see themselves, and the things that were important to them, reflected in the media. Marlon A. Walker, NABJ Vice President Print said, "Simeon Booker's death is felt around the world. His significant contributions to our industry and humanity are monumental and his life's works should be shared and taught in classrooms, community centers and organizations, as an example of excellence."